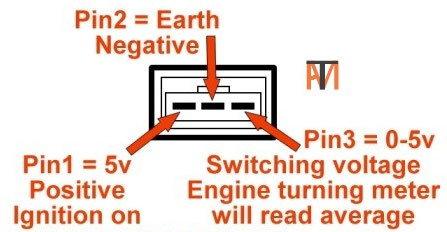 These can be tested with a multi-meter, there should be a 5 volt supply, a negative with ignition on and a switching voltage with the engine turning, the meter will read the average of the switching normally between 0.5-1.5 volts. 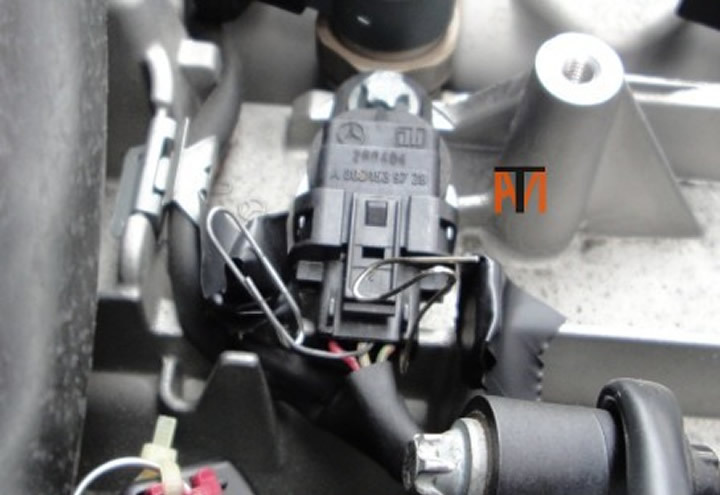 Insert a paper clip into rear of the connecter see picture, you should read 5 volts between pins 1 and 2 with the ignition on and a switching voltage (0.5-1.5v) between 2 and 3 with the engine turning. Note check pin numbers may be different and black tape to prevent shorting.